Adoption is an extremely misunderstood topic throughout the Muslim community. Many people have different opinions on it, with some even saying that it is completely prohibited in Islam, and some not knowing about the Islamic rules surrounding it. Many of us have never thought of the concept of adoption. Maybe because, Alhamdulillah, we are able to have our own biological children, and only ever thought of adoption as a backup option for those who couldn’t. Maybe we are worried we won’t be able to love our adopted children as much as we could love a biological child. Maybe we’re scared of the unknowns surrounding adoption, or maybe we’re scared of the judgement that comes with it. But have we ever thought about the concept of adoption from an Islamic perspective? To preface, let me start by saying that our beloved Prophet Mohammed (Peace Be Upon Him) has said, “I and the one who takes care of an orphan are like these two fingers [holding up his index and middle finger].” As far as I’m concerned, this should tell us all we need to know regarding adoption, but let’s delve a little deeper. “Generally…a person without living parents to care for them. A child may be considered an orphan because of the death or disappearance of, abandonment or desertion by, or separation or loss from, both parents.” Many of these children have lived through abuse and neglect, leading them into the care system. This includes Muslim children being abused, neglected and abandoned by Muslim parents. We need to get out of the fantasy that things like this don’t happen within our own community. 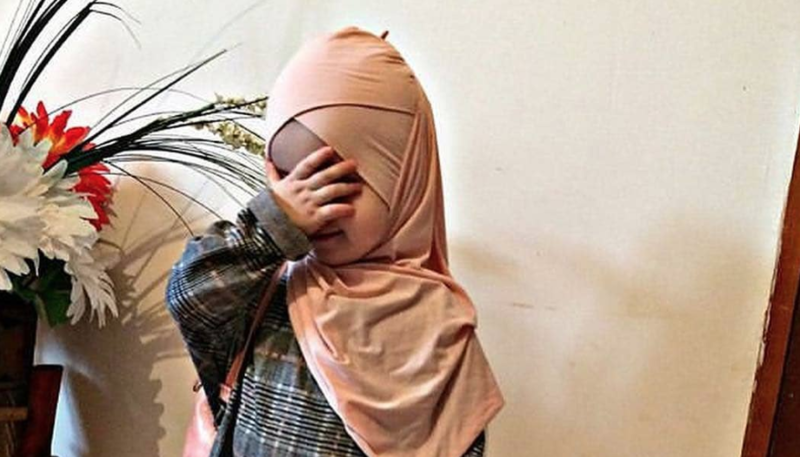 After watching the six-part, British series called “Please Can I Have a Mummy and Daddy”, which is aimed at encouraging Muslims to consider adoption, I found that Muslim children are incredibly hard to place with Muslim families since there is such a shortage of them willing to adopt. “They usually place Black children with Black families, and Asian children with Asian families,” says Rahim Jung, a professional social worker based in London. Many of these children end up losing their religion in order to be placed with a loving family as a result of this. “…Nor has He made your adopted sons your (biological) sons. Such is (only) your (manner of) speech by your mouths. But Allah tells (you) the Truth, and He shows the (right) Way. Call them by (the names of) their fathers; that is juster in the sight of Allah. But if you know not their father’s (names, call them) your brothers in faith, or your trustees. But there is no blame on you if you make a mistake therein. (What counts is) the intention of your hearts. And Allah is Oft-Returning, Most Merciful.” (Qur’an 33:4-5). To give this debate some dimension, let me bring to light the story of Saira Khan. Saira Khan, a Pakistani Muslim woman who is a presenter on the lunchtime chat show, ‘Loose Women,’ spoke candidly of her journey to adopt her daughter Amara in Pakistan, after struggling to conceive a second child through IVF. “There are 350 cradles, at bus stops, in shopping centers, on the sides of roads…if you don’t want your baby, you put them in there and ring a bell, and walk away, and then the people from the orphanage will come and take it [the baby]…whoever is out there, thank you for bringing Amara and putting her in that cradle,” she stated. Adoption is an incredibly beautiful thing. It is unacceptable for people to use twisted cultural discourse to make it seem unappealing, and “a last option”. The judgement we may receive from our community shouldn’t be enough to stop us from doing something that will dramatically improve a child’s life, help them keep their religion, and also please Allah. Adoption shows that blood doesn’t make a family, love does. Our beloved prophet (Peace Be Upon Him) spoke of love so highly as a sunnah, that we cannot possibly turn this into a negative or scary thing. To home and love a child who may not have that in their life is nothing short of the ultimate kindness, and anyone who sheds doubt on this, needs a refresher course in what Islam is all about.